Tuttle Publishing kindly sent Kallista her own Super Cute Origami: Kawaii Paper Projects You Can Decorate in THOUSANDS of Ways! for review, and she was so excited to see it arrive! I predict this to be a super hot item this year and should be brought out any time there are children gathered around. 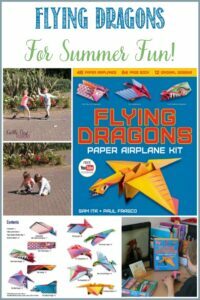 You’ll be the coolest parent/grandparent/teacher/childminder ever! 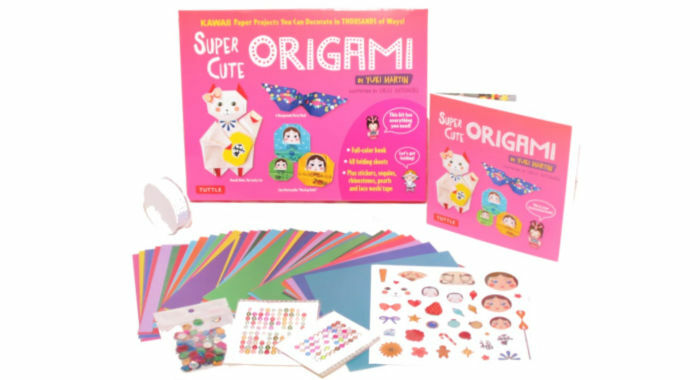 There are 10 Super Cute projects included in this kit, including ones from Russia and India, in addition to Japan, too, of course. 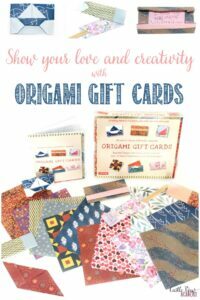 The origami paper provided is coloured on one side and white on the other, but it’s what you do with the papers, and the embellishments you add that make them amazing. There are lots of suggestions given for giving your projects extra touches for additional cuteness, too, so get out those little pieces from your craft stash and give them a purpose! 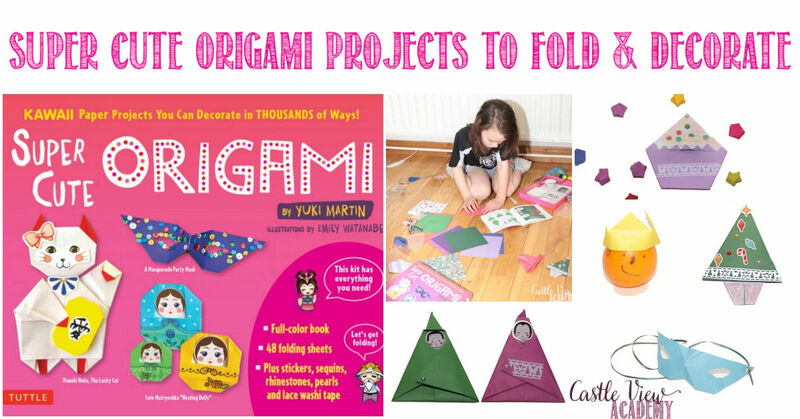 Kallista really couldn’t wait to get started with this origami kit, it certainly has to be her favourite yet! She opened the box immediately and settled down to get started. She knew right away that she was going to start with the cupcakes. She loves baking, and even gets requests from the neighbours of what to bake and sell next! Kallista made some of her own ‘sprinkles’ from punching holes out of a pretty piece of origami paper from another kit we have. Then she used her cute cupcake to top a birthday card she sent to my dad. 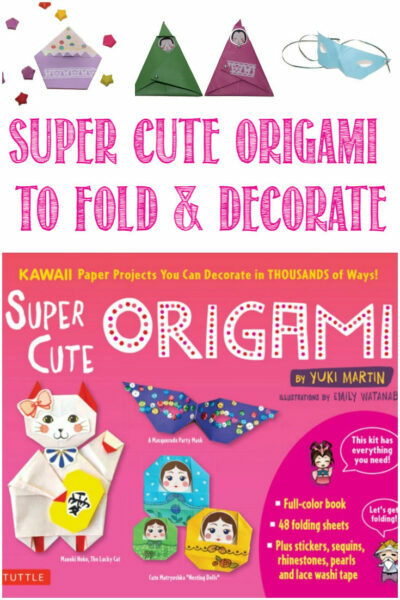 It’s wonderful when origami can be shared to give another a smile. 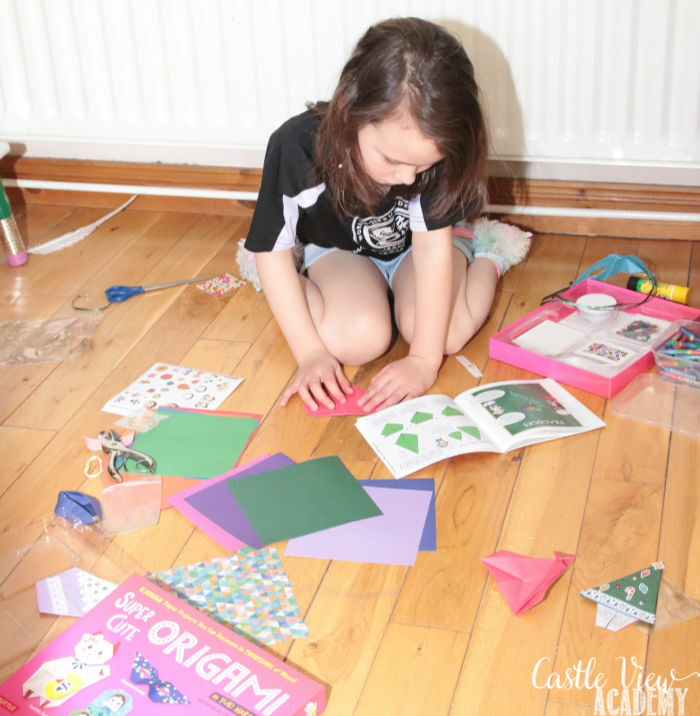 The next project was this cute little Christmas Tree, which would also be gorgeous on a card! I suggested she could make the Christmas cards we give to our neighbours later this year. 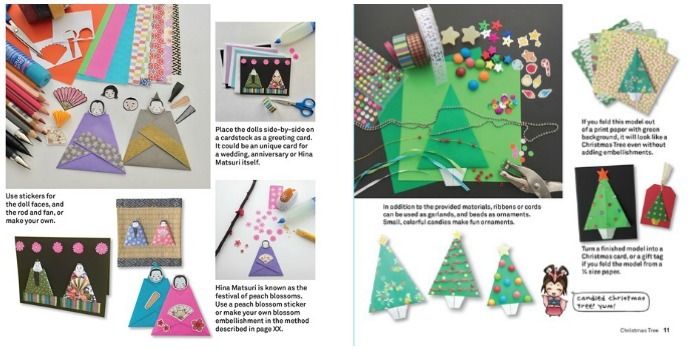 Each tree can be decorated differently and be little pieces of art. Kallista had some fun with this one! 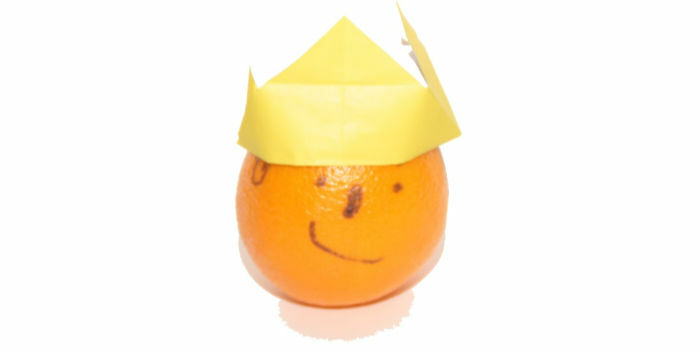 She folded the crown quite quickly, but instead of decorating it, she placed it atop an orange and gave the fruit a cute little face! This is a great scene to see in the morning sitting on the table to greet you, you can’t help but smile. With all of the tragic events that have occurred this year, it was fitting that Kallista chose to make a Diya oil lamp to celebrate the force of light over dark and hope over despair. Kallista loves to go to the hina-matsuri party each spring and has seen beautiful hina dolls there, so she had some fun making super cute origami hina dolls of her own. She is having fun hiding one around the house for Phil to find over and over again, and the other she has used on an anniversary card for my parents. And finally, Kallista made a fun masquerade mask. She has decided to leave it undecorated thus far, but she did find some pretty ribbon in the craft cupboard and used that to make a way to hold it in place. Kallista really went to town with this kit, and I can’t blame her! Personally, I want to make the Daruma Doll, as I spent a quarter of a year in Takasaki, where they are manufactured, yet I don’t have one of my own. Who could resist super cute Matryoshka dolls? And Meneki Neko, the lucky cat definitely needs to find a place in our home! 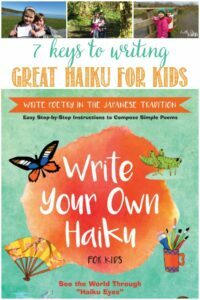 This kit would be a great one to bring out during a birthday party, a sleep-over, or during any holiday or weekend when your children say they are ‘bored,’ and bored they will no longer be.